OUR 9TH ANNUAL SPRING SING WILL BE MONDAY, MAY 20TH, 7:30 PM AT CHARLESVIEW (AKA JOSEPHINE FIORENTINO COMMUNITY CENTER) WELCOME ALL!! 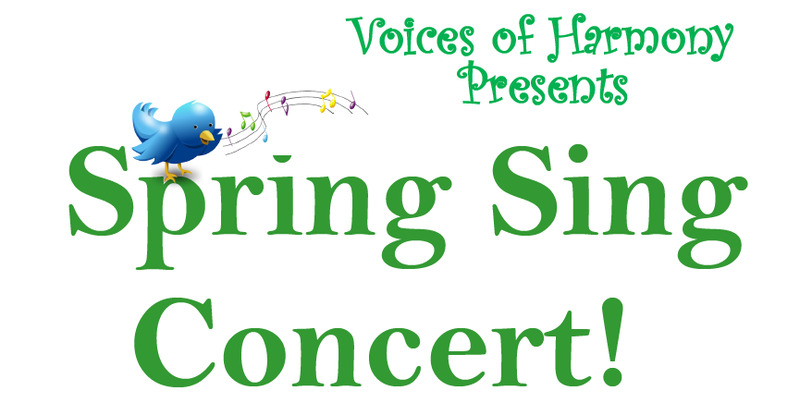 Voices of Harmony presents our 9th annual Spring Sing. We welcome you to enjoy our full repertoire and join us after the concert for a reception with free light snacks and great conversation! Our repertoire is an eclectic mix from home and abroad that touches us all, and embraces our identities. We look forward to sharing our culminating event of the season with you! Introductory Meeting – Thursday, September 27th! Voices of Harmony wants you! On Thursday, September 27th at 6:30PM, Voices of Harmony will hold an Introductory Meeting, inviting all members of the community to join us in song and conversation! This event is FREE, and food and drink will be served. Who’s invited? Everyone in the Boston-area who’s interested in strengthening our diverse community through music and cross-cultural dialogue. When and where? On Thursday, September 27th from 6:30 PM to 9:00 PM, at the Josephine A. Fiorentino Community Center at 123 Antwerp Street, Boston, MA. The venue is T-accessible and there is also ample free parking available at the venue. The building is completely wheelchair-accessible. We welcome people of all genders, all ethnicities and cultural backgrounds, and all levels of singing experience! Join us if you love to sing and want to learn! We would love it if you would RSVP. You can email us here, RSVP to our Facebook event or to our Meetup event. Our 8th Annual Spring Sing will be Wednesday, May 23rd, 7:30 pm at Charlesview (aka Josephine Fiorentino Community Center) Welcome all!! Voices of Harmony presents our 8th annual Spring Sing. We welcome you to enjoy our full repertoire and join us after the concert for a reception with free light snacks and great conversation! Our repertoire is an eclectic mix from home and abroad that touches us all, and embraces our identities. Voices of Harmony is looking for new members who sing soprano or alto! On Wednesday, January 3rd at 6:30, Voices of Harmony will hold an Introductory Meeting, inviting members of the community who sing soprano or alto to join us in song and conversation. When and where? Wednesday, January 3rd at 6:30-9:00pm, at the Josephine A. Fiorentino Community Center at 123 Antwerp Street, Boston, MA. The venue is T-accessible and there is also ample free parking available at the venue. We are currently welcoming people of all genders, all ethnicities and cultural backgrounds, and all levels of singing experience! Join us if you love to sing and want to learn! Voices of Harmony presents our 7th annual Spring Sing. We welcome you to enjoy our full repertoire and join us after the concert for a reception with free light snacks and great conversation! Our repertoire is an eclectic mix from home and abroad that touches us all, and embraces our identities. Please invite your friends, and RSVP on Facebook or Meetup.